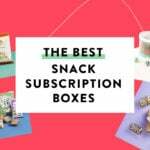 California Found is a monthly women’s subscription box which features products from California makers that can typically only be found in California! Subscribers receive several items per month that could be beauty, gourmet, style, or home goods. COUPON: Use code MSAGET20 to get 20% off your first box! Instead of a booklet or pamphlet, California Found sends these really cool info cards for each product. They are very nice quality and informative. It also points out that they donate 10% of their profit every month to a charitable cause, and this month they are donating to No Kid Hungry: California. Also, they have added a Golden Ticket contest – so if you find one in your sizzle, you get a free box for yourself or a friend! One of my favorite things about California Found is that they almost always include lovely greeting cards in every shipment! I love having unique and beautiful cards on hand. These birthday cards are adorable! Los Angeles based Fiber & Dye has a focus on wedding-related stationery, but their shop includes all kinds of greeting cards. All of their cards feature original artwork. I LOVE this cocktail mixer! The scent of lavender and honey work so well together. I can’t wait to try using this with a few different cocktail recipes! After I received my California Found box this month, I had to go out-of-town unexpectedly, so I took a gamble and threw these in my bag untested. My whole family has been using these for a week now, and I have to say, our hair looks and smells amazing! It’s been particularly beneficial for my younger son. He has very fine hair, and he is letting it grow out to donate to Locks of Love. It tangles very easily and is painful to brush, but most conditioners make it look greasy. This conditioner does not look or feel greasy whatsoever, but it still detangles and leaves hair shiny and manageable. Both products also smell incredible! Just like fresh blackberries! California Pure Naturals is based out of Cerritos, California. The oil in this diffuser smells soooo gooood! It’s a very natural rose scent, but the sweetness is tempered by the acidity of black currant. The diffuser itself works great and adds an aroma to even a large room without being overwhelming. Banter and Bliss is located in Los Angeles where they also make candles and teach candlemaking. All of their fragrances are paraben, sulfate, and phthalate free. I absolutely love these sterling silver earrings! They are so unique and beautiful! I love how elegant and understated they are. Charming Little Lotus is the Lakewood, California studio of designer Helen Louise. She uses recycled sterling silver and traditional metalsmithing techniques. The Verdict: California Found has become one of my favorite subscription boxes! This month was another great one! I love the earrings soooo much! I am also really impressed by the conditioner this month. The value of everything adds up to $110.48, which is more than the promised value of $90, and the box costs only $49, including free shipping! Check out all of our California Found reviews and the best women’s subscription boxes of 2019! What do you think of California Found? What was your favorite item? 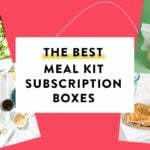 A $49 monthly box is hard to please everyone with, but every month I love the whole box! That’s hard to do! Always unusual and useful items and the best jewelry. Loved getting full size shampoo and conditioner this month! I’m grandfathered in with free shipping so will never cancel! Thanks, Pam. We learn from the feedback of dedicated subscribers like you and fine tune collection by collection. Our goal is to introduce brands and makers you’ve never seen before but we know you’ll love! So grateful for your support! HOW HAVE I MISSED THIS BOX??!! Lol. Apparently, I haven’t been paying close enough attention to the MSA website! This box looks amazing! Most comments I’ve read on here, most all of the subscribers comments are VERY POSITIVE-and y’all know as well as I do-that means a lot in the sub box world! It really does appear to be a wonderful box-the company owner(s)/box curator(s) should be very proud of that! Anyway-I have just subscribed and will receive the April box! I’m not even waiting for spoilers bc from what I’ve seen from the past boxes-it’s gonna be great! Thanks for the awesome reviews and the 20% off code! I’m sure excited about it! So glad to hear they have excellent customer service-definitely a bonus these days! We saw your sub come through, thank you! This month is so, so good!! I can’t wait to share it with you. You’re so right, the positive comments mean the WORLD and honestly, the not so positive ones keep me humble and help me learn so there you have it. Thanks for taking the time to share feedback! I sincerely hope you love the April collection as much as I do. We are down to our last few! @Anna – what did you think about the cocktail mixer? I’ve decided that out of all the subscription boxes that I’ve subbed to in the past and present California Found is my favorite! Each month the items that I receive are unique and beautiful! The value is absolutely amazing and Beth provides fabulous customer service! This box truly feels like I’m receiving a gift from a wonderful friend!! Beth if you happen to read this comment I sincerely hope that another item from MidiQueen Handbags is included in an upcoming box, as I adore their products….🤞!! Candle?!? Did I miss something? Cocktail mixer is reviewed as a candle? I was going to say the same thing. I think it was accidentally copied and pasted from the last box. Good old cut and paste will get you every time. It’s happened to me, but fortunately just on an internal document.